iDancehallReggae.com::Caribbean Lifestyle Media::: Just In: Seaga think Dancehall is lacking? Just In: Seaga think Dancehall is lacking? In today's Jamaica Observer, former Prime Minister states that "Dancehall is lacking". "Dancehall music lacks components of classical music, which includes lyrics, melody and rhythm." Seaga has long been a cultural expert, having pioneered various anthropological efforts that relate to the arts, religion and politics. 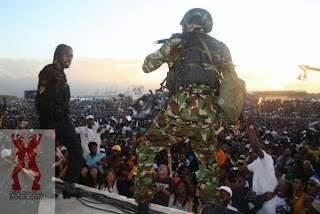 Speaking to what has become a steadily rising and potentially volatile sub-culture spawned from a lyrical war between rival dancehall artistes Vybz Kartel and Mavado, Seaga outlined that their brand of music, though undeniably powerful, is verbal nonsense. "Things come and go, but I don't know why, for the love of me, this one won't go," he added. Seaga noted, though, that dancehall music remains incredibly popular because of its enduring appeal to youth.